Amritsar Train Tragedy | अमृतसर रेल हादसाः स्थानीय लोगों का दावा- 20 वर्षों से यहीं होता आ रहा है ‘रावण दहन’! अमृतसर रेल हादसाः स्थानीय लोगों का दावा- 20 वर्षों से यहीं होता आ रहा है ‘रावण दहन’! 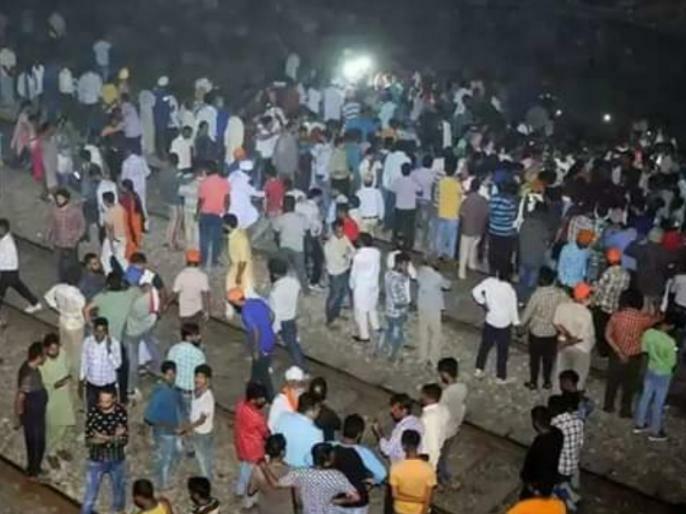 Amritsar Train Tragedy: For more than 20 years, people have been gathering from the surrounding villages in the field lying vacant near the Joda Phatak, just 50 meters away from the railway tracks, to see Ravana Dahan on the occasion of Dussehra, where the Amritsar train accident took place. But this year the happiness of the Dussehra festival turned into a horrific accident on Friday when at least 61 people died after a fast moving train run over them while they were watching Ravana Dahan.